Apparently, the folks at Steve Jackson Games are ready to remind the gaming world that GURPS was one of the most transformative game systems ever released, and is ready to retake center stage in a major way. They’re going back to the well that is the classic GURPS Dungeon Fantasy, bringing it fully into 4th Edition compatibility, and releasing a stand-alone RPG that focuses on the Old School joys of dungeon-delving hack-and-slash. Hit the linked image for more on EN World. Shadows of the Colossus. Dark Souls. Monster Hunter. These games – and the desire to create a specific kind of customized campaign experience for D&D 5E players – lie at the heart of Hunters Mark: Long Live the Hunt. It’s a pretty spiffy merger of full roleplay tabletop gaming with the more compelling elements of action computer games. This is a magical, monster-hunting thing that Game Natural has wrought. Hit the linked image for more from EN World. 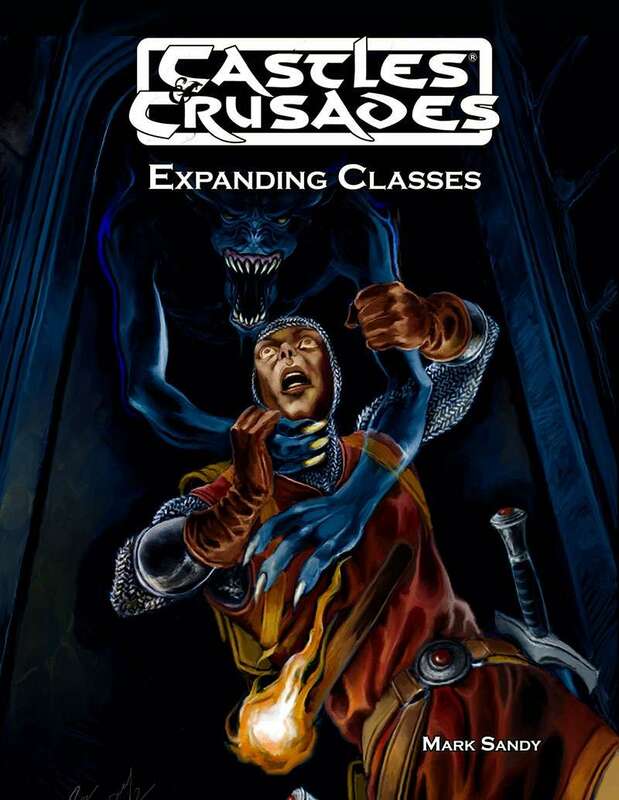 “It is often said that Castles & Crusades is the Rosetta Stone of Old School Gaming. It certainly is that, but there is a lot more going on here…” – Timothy Brannan about Castles & Crusades. C&C is considered by a huge part of our culture to be a fantastic expression of OSR gaming (in this case, with a focus on the 3.x era), and it’s certain that the folks at Troll Lord are good people who know their stuff. Here’s the latest release for the line, which lets players get into the machinery of the game and customize their character building and options. And now for today’s Pick, which establishes that, yes, Onyx Path is still producing stuff for Exalted 3rd Edition. This is a good thing, if the popularity of this latest release is any indication. 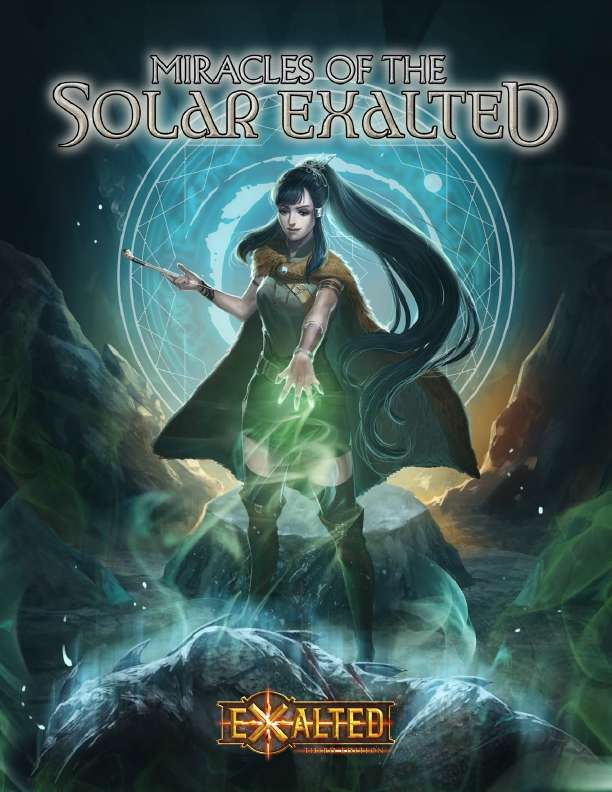 Then again, Exalted fans are always keen to discover more about the ascended Solars. In case you missed it, Monte Cook‘s Numenera is heading for the digital world. In a solid multiple media move, they’ve released a tabletop product that covers the part of the world the computer game is set within. Written and designed by the inestimable Shanna Germain. 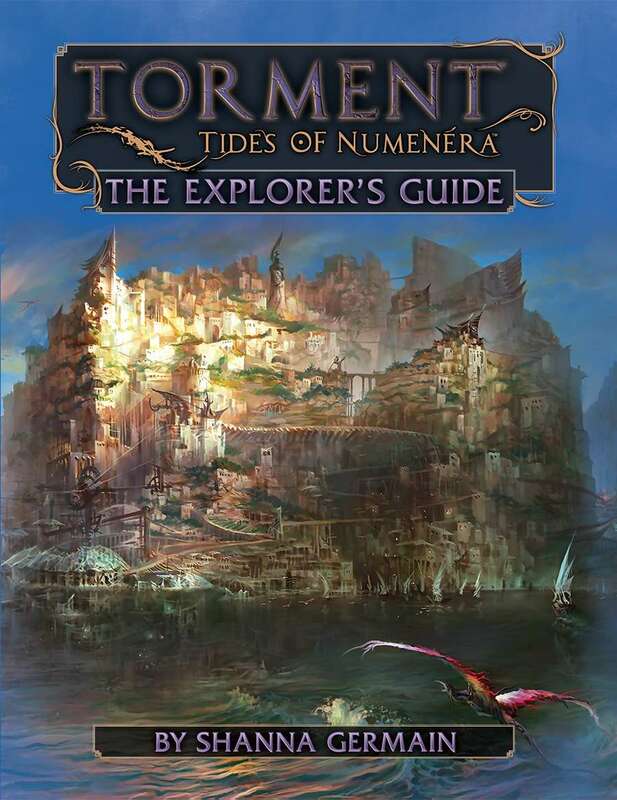 The Torment: Tides of Numenera computer game is set in a whole new region of the Ninth World. This book details the weird and fascinating places, people, and creatures first glimpsed in Torment. Discover secrets of the computer game, and explore its world in greater depth and detail. Incorporate the region and its inhabitants and conflicts, in whole or in part, into your campaign. Maybe even become a castoff or explore the Tides, mysterious forces that can shape human interactions. As in Hollywood, so with RPGs. Classic ideas are constantly called back to for revival and revision, and the Basic Roleplaying (BRP) system’s been enjoying a lot of renewed interest in the last few years. Here’s a particular popular take on the game engine, essentially a rebranding and repurposing of Runequest 6th Edition. 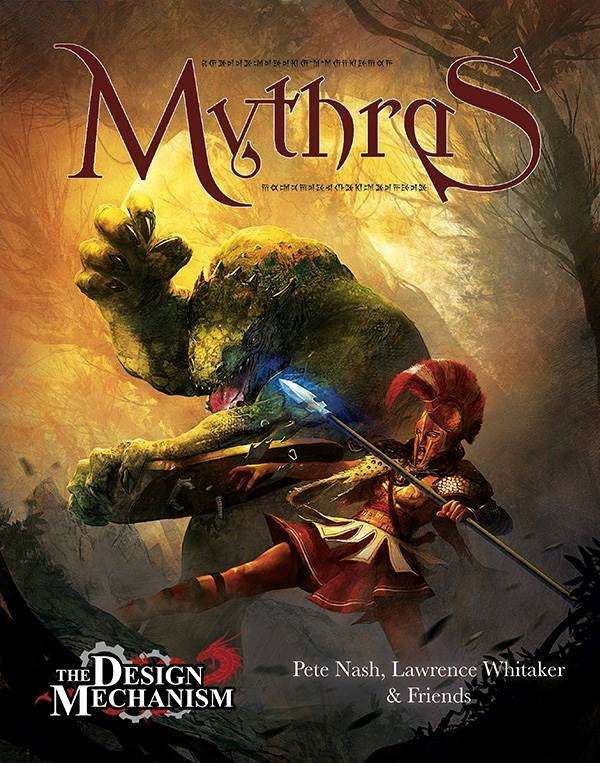 Mythras is the new name for an older game, but while the name might have changed, the system remains the same, but presented in an updated format with new interior artwork and layout design, along with some new content (Special Effects, small tweaks to the rules, and Spirit Combat Effects). In fact, we’ve managed to pack more into a smaller space, and reduced the price accordingly. Character Creation – building your character through the familiar characteristics, through developing culture and community relationships, choosing a career, and gaining basic equipment according to social class. Skills – What they do, how they work, and how to handle many different circumstances (degrees of difficulty, critical and fumbled rolls, opposed skills, group skills, and so on). Economics and Equipment – Arms and armour, tools, clothing, accommodation… everything your character needs as he or she begins on their life of adventure. Combat – Mythras’s combat system is unique, dynamic and geared towards adventurous realism. Gaining success over an opponent generates Special Effects that can rapidly turn the course of a fight. Copious advice is presented on balancing combat skills and styles, through to handling rabble and underlings. Magic – No less than five very different forms of magic are presented and explored, with complete lists of spells and effects. How magic is defined and used in different fantasy settings and campaign worlds is examined in detail. Cults and Brotherhoods – Religious, magical and secular organisations, as well as other kinds of societies are detailed the Cults and Brotherhoods rules. Cults are an important part of Mythras, and they are covered in significant detail along with templates for many different kinds of cult, order, school and so on for Games Masters and Players to build upon for their own campaigns. Creatures – Over 50 creatures are fully detailed, including several non-human player character races. This chapter also offers complete guidance on how to use creatures effectively in Mythras games, and notes on how to design your own. Anathaym’s Saga – Numerous examples of play and how the rules are used are provided through Anathaym’s Saga. Follow Anathaym, her sister Kara, Mju the Mystic and Kratos the Sorcerer as the Mythras rules are illustrated and explained. Savage Worlds is known as a system that can handle anything, but it’s important to note that, right down to the name of the thing, it’s roots run deep into pulp adventure territory. The folks at Polish publisher GRAmel get that, and they’ve started putting out a lot of product that really plays on the strengths of the game. If you’re keen to get your pulp-era action on, here’s a great place to do it. Welcome to Bailongan, jewel of the southern seas. There are secrets here, from the nefarious Sky Pirates preying on the helpless, the strange jellyfish people, nefarious Imperial Japanese forces under the mystical Black Dragon Society – and the volcano hides a secret darker still. 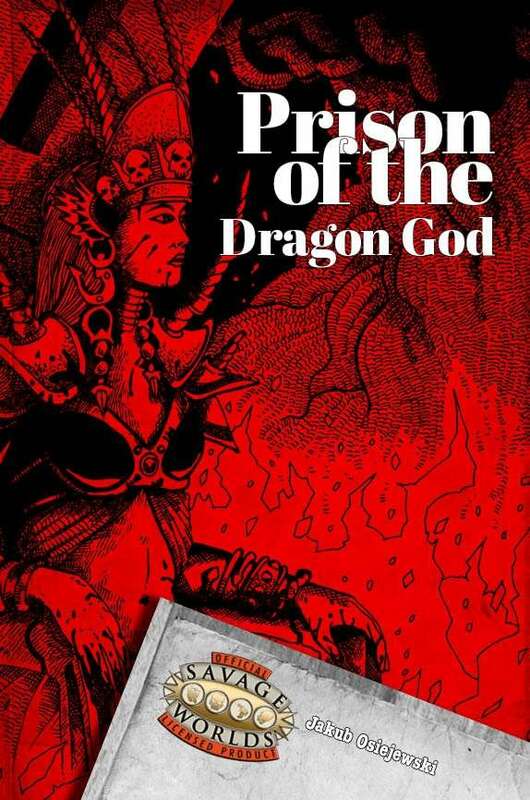 Will your heroes discover the mystery of the Prison of the Dragon God? Japanese cults, ancient alien gods, flying mutated giant jellyfish witches – all this awaits your players. My buddy Russ Morrissey is full-speed-ahead with his dreams to publish even more awesome, fun gaming stuff, and here’s the latest entry in the What’s O.L.D. Is N.E.W. line. We’ve seen pieces of the system for a while – O.L.D. (the fantasy RPG), N.E.W. (sci-fi), and N.O.W. (the surprise third core, covering modern-day, primarily 80s-era action), all part of the larger, universal-system driven whole that is WOIN. Unapologetically crunchy, this is meant to be your anything-and-everything 21st Century approach to what Hero System and G.U.R.P.S. accomplished in the 80s and 90s, but with the wisdom and design sensibilities of today. Note: If you’ve picked up the previous, sectional releases for N.E.W., you’re already pretty much good-to-go. This is the book that collects all of that under one cover. 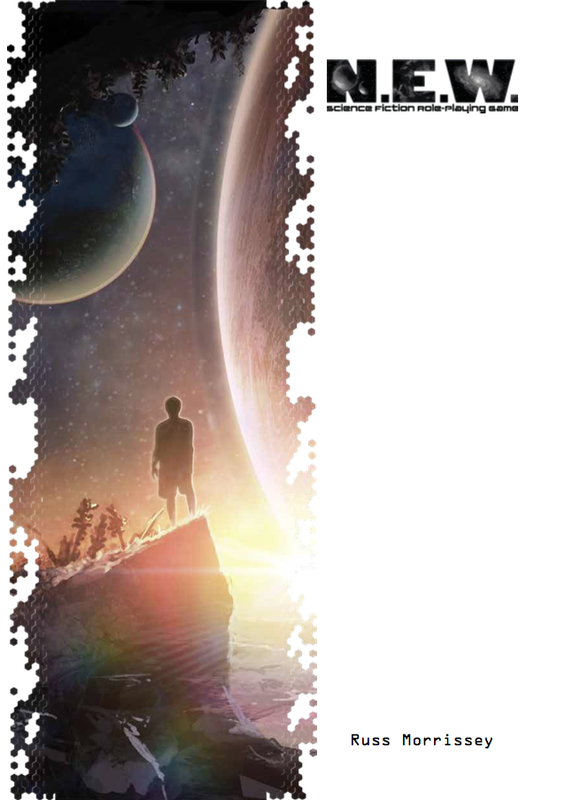 Bounty hunters track down outlaws hiding in trader towns on worlds at the fringe of the galaxy. Starships explore unknown worlds, going where nobody has gone before. Great generational arks seek somewhere to call home. Detectives investigate a murder on a trail which will take them from Mars to Jupiter’s moons. Agents infiltrate a criminal organization, going undercover to take down a galactic crime boss. A group of smugglers locates a new hyperdrive system to increase the speed of their freighter. Whether you’re aboard a starship exploring new worlds, a bounty hunter tracking down outlaws on the fringes of civilisation, an agent infiltrating an intergalactic criminal organization, an intrepid hunter of exotic alien species, fighting a galactic civil war, or just a trader trying to make your way in an uncaring universe, N.E.W. has you covered! This is a What’s O.L.D. is N.E.W. core rulebook. 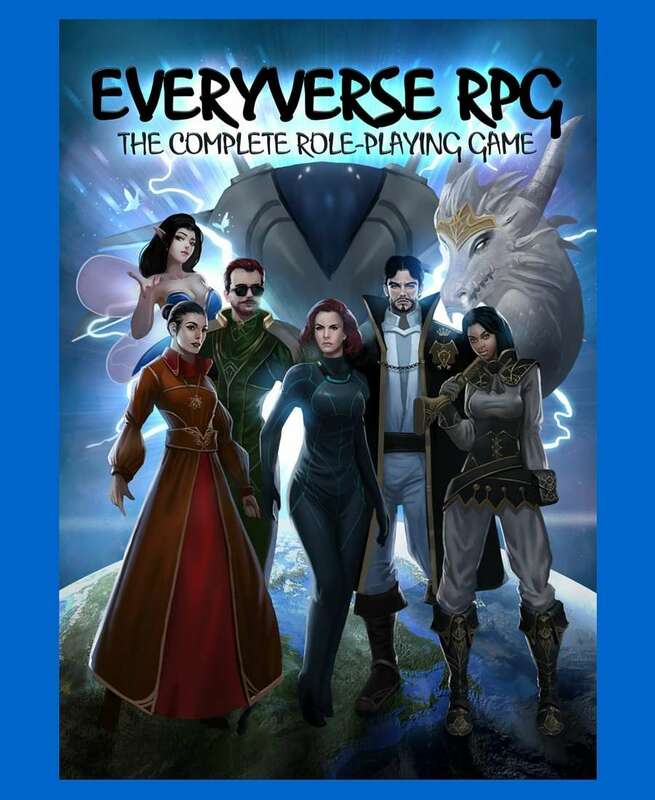 Many of you know that I have a web site called Sean’s Pick of the Day, where I regularly point out RPG products (and sales, and other special things) over the course of the week. At the end of the week, I collect those Picks on Friday and share them on EN World, arguably one of the most well-known and pervasive sites on the Internet for RPG fans. Recently, I’ve been invited to expand my relationship with EN World, which I am excited and honored to do, and I’ve been included into the team of columnists that are currently working to build the recently-launched ENN (EN News Network). This is the first development to come out of our still-new EN World Patreon site, and there’s more planned. Straight up, this is a chance for me to earn a bit more revenue for what I do. I want to be open and honest about that from the start; helping me with what I am presenting here has a direct financial benefit for me, as well as increasing the news and information that fans of gaming receive, and enhancing the promotional opportunities for creators and publishers. If you are a publisher, please contact me about special opportunities for product and Kickstarter promotion. You can reach me at the usual email (seanpatfan [at] gmail). News and Announcements: We have a special email address – news@enworldnews.com – where you can send anything you think is newsworthy or of special interest to the RPG enthusiast’s community. We want to know everything going on, so feel free to share anything you’d like. We cannot guarantee we will share everything we receive, but it’s a simple matter and a moment of time to make sure we have it in our queue. Note that I will be specifically re-broadcasting the various “ENN News Links of the Week” via Sean’s Pick of the Day, ensuring that this information gets even wider viewing and awareness. Patreon Support: Of course, we’d greatly appreciate you become a supporter of our Patreon, and there are some pretty cool rewards. Those at the $5 level will get advance previews of special articles, and those who pledge at the $10 level will get a free PDF every month. Of course, the big deal is your helping us to bring you the most and best news and cool information every on a daily, weekly, and monthly basis. I want to also point out that, with this new arrangement, I will be shifting how I promote Kickstarters. I will first announce Kickstarter (and other crowd-funding efforts) for gaming via news bites on ENN. Then, as per my statement above, they will come out via the ENN News Links on Sean’s Pick of the Day. So, yes, I still want to know about your Kickstarters—keep sending those links along, but feel free to use the news@enworldnews.com address now. Thanks for taking the time to read, and for your continued support. I and my family (especially Riah, who I will be able to afford kibble for now) greatly appreciate it, as do all of my colleagues at EN World.